The 2018 FIA World Rallycross Championship presented by Monster Energy is set to embark upon its fifth season this weekend with the first of 12 events: the World RX of Catalunya-Barcelona. 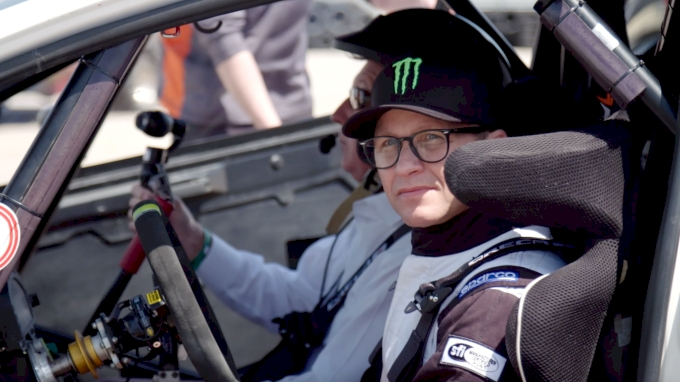 The series will feature 15 permanent Supercar drivers, including reigning champion Johan Kristoffersson and veteran contender Petter Solberg, in what will be a monumental campaign for World RX in more ways than one. For the first time, the most electrifying series in the world—one that has soared in popularity across Europe in a remarkably short amount of time—will race on American soil at the Circuit of the Americas in Austin, Texas, on Sept. 29-30. And, for the first time, World RX events are streaming live in the U.S. as part of an exclusive North American rights agreement between FloSports and IMG. But, back to the Circuit de Barcelona-Catalunya. The launching pad for the 2018 season is one of the most renowned venues in World RX. The track has a reputation for being smooth and inviting an aggressive racing style that pushes drivers and often results in breathtaking theatrics for spectators. Specifically, the Joker Lap is placed in such a way that it often leads to some of the most exciting sequences of the day. The start line, which was formerly placed atop the left side of the track and led to an initial straightaway, followed by a gradual left-hand turn, has been relocated. This year, turn one will be a hard left-hander that sends drivers uphill and into an unsealed section. Sweden’s Kristoffersson and Solberg will again be paired as PSRX Volkswagen teammates, and each will be behind the wheel of a revised Volkswagen Polo R with aspirations of maintaining both the drivers’ and teams’ titles. The World RX of Catalunya-Barcelona will also play host to the highly anticipated debut for the GC Kompetition Renault Megane RS R.X, developed by Prodrive, and driven by Guerlain Chicherit and Jerome Grosset-Janin. The 2018 World RX season will consist of a dozen events, moving from Catalunya-Barcelona to Montalegre in Portugal to Mettet in Belgium and for the first time to Silverstone, which will host the World RX of Great Britain as part of the all-new Speedmachine Festival on May 26-27. The inaugural race in the U.S. will actually be the second of two trips to North America for World RX. The series will hit the ground in Canada at the Grand Prix de Trois Rivieres on Aug. 4-5. Fortunately for fans hoping to follow every step of the most exciting season in motorsports, FloRacing will be the exclusive home for live World RX action throughout the year—beginning, of course, with Catalunya-Barcelona.